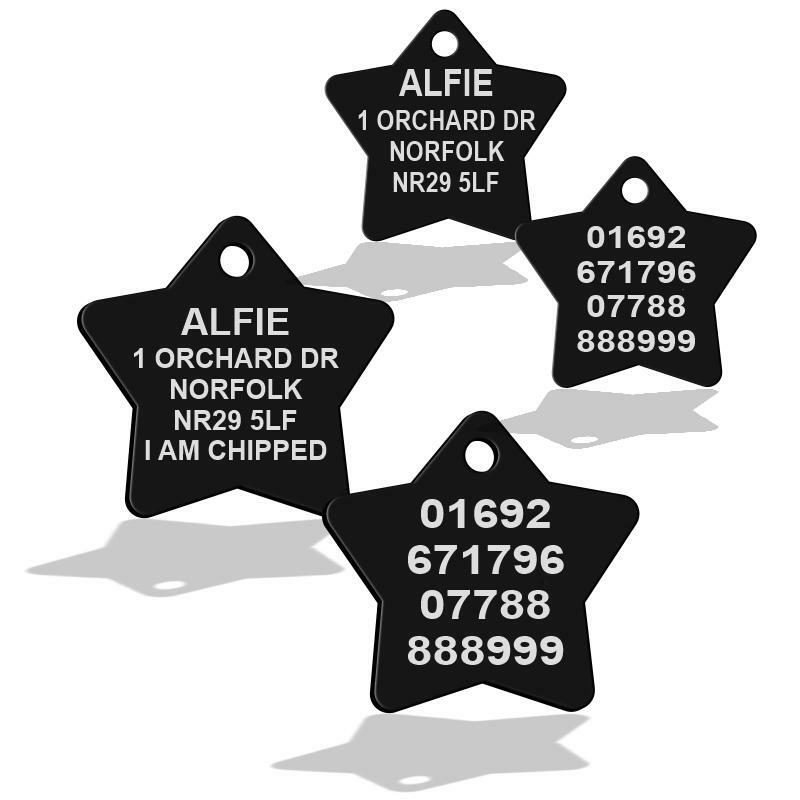 Black Premium Colour coated pet id tags for dogs in the shape of a Star. These tags are coated with 7 microns of anodised colour this makes them really durable and hard wearing. The more text you have the smaller the letters will be.